Pacific Island Connection for men seeking Asian ladies, Asian women, Asian girls, Asian dating, Asian beauties or Filipinas for friendship. call 805-492-8040. USA seek Asians for friendship. HAPPY FRIENDSHIPS WORLDWIDE SINCE 1991! 100% FREE sign up for the ladies! BEAUTIFUL PEOPLE TO CORRESPOND WITH! BRINGING THOUSANDS OF HAPPY FRIENDS TOGETHER SINCE 1991! Why Pacific Island Connection? 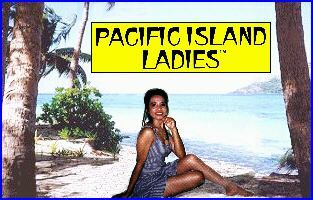 Pacific Island ladies are known for their beauty, femininity, traditional values, loyalty, and loving disposition. And age is not as much a barrier to them. Basically what they are seeking are some good men! They are taught from childhood that family is most important and they will give you a relationship that will last for the rest of your life! Our web site features Asians who desire contacts with Western people. We feature many Filipinas, willing to have friends! Since 1991 we have introduced Western people to beautiful Asians. So, if you are looking for people for solid friendship, Filipinas you have come to the right place. We feature many Asian ladies, Asian girls, Asian women, Asian dating, Asian singles, Asian romance, Asian pen pals, Asian beauties - so, men- if you are looking for this you will be in luck if the ladies like you! Attention Asians, Filipinas, if you are seeking American/USA friendship, your search stops here. People looking for partners we can help you for FREE. In business for over 25 years, we can help you get started. Dear USA CONNECTION- I met my future man in Cebu City, after corresponding with him for several months. I would like to thank USA CONNECTION for bringing me together with my loving man! Thanks to you, I am now happily in the USA with the Man of my Dreams! Dating COM For Friends Dating. Start Dating Girls, Date Singles Seeking Love & Romance. click on cap to order!